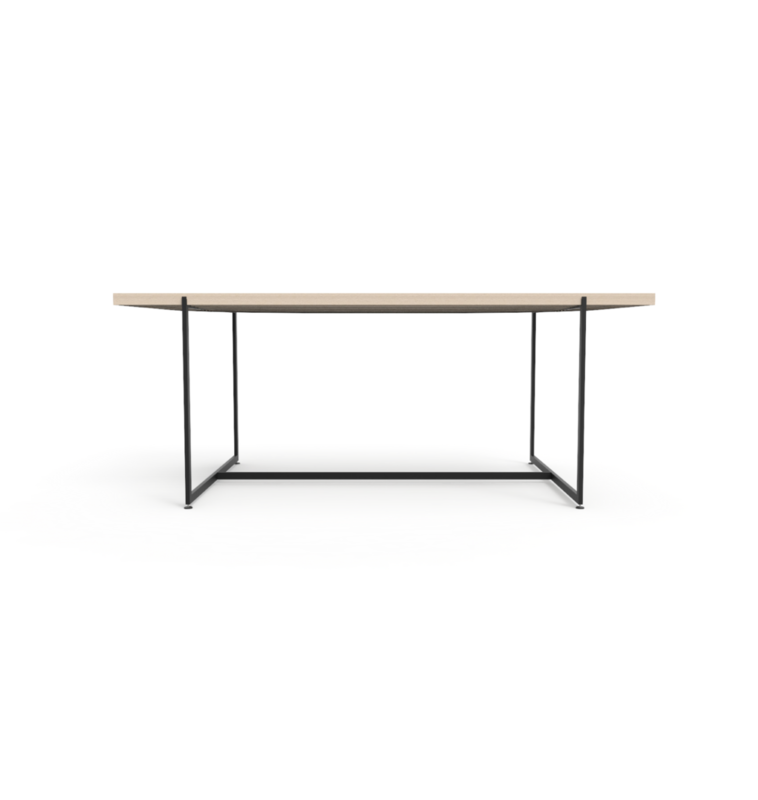 The Slat Table is an outdoor table made of a steel frame, and wooden slats running lengthwise making up the table top surface. The underside of the table top is curved toward the edges from the centre. The slats are held apart with canvas ribbon riveted to the underside of the channel cut into each, which allows the slats to hold steady on the frame.